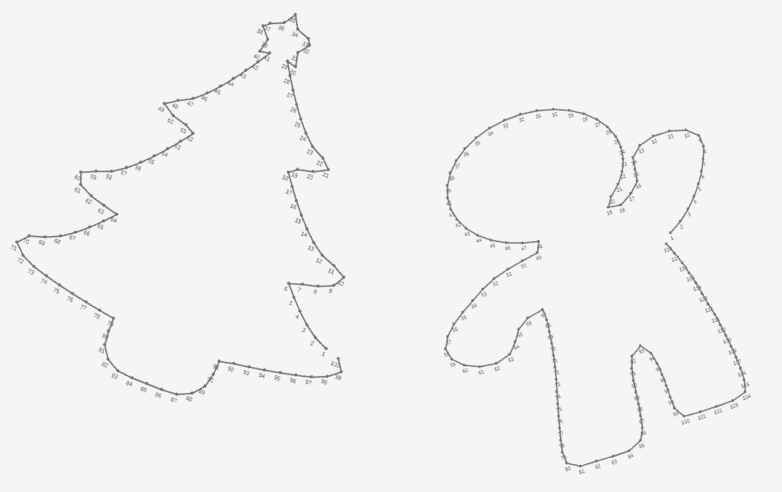 A few weeks back, my brother Ken Flerlage, was experimenting with Tableau's set actions and discovered he could create a connect-the-dots game. Wow, how cool! He posted it to Twitter and that was that. 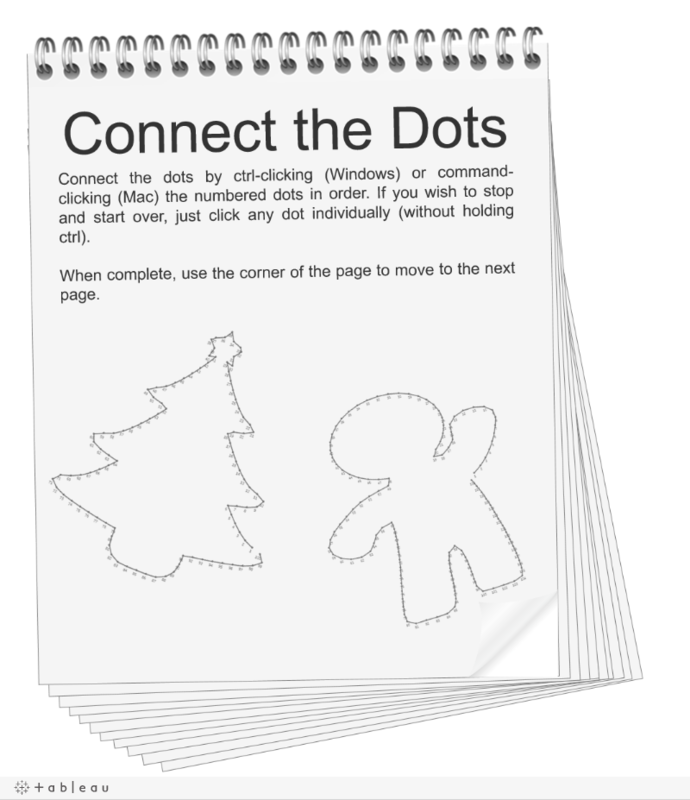 With Christmas coming up, I suggested he create a Christmas-themed connect-the-dots book for kids using a variety of Christmas images. So he asked if I would like to collaborate on the effort. I jumped at the opportunity and I am now proud to present the first Ken & Kevin Flerlage collaboration! You can interact directly with the viz below.